Sometimes at the weekend I like to make something a little bit more special for breakfast than the usual toast, porridge or cereal that I would usually have during the week. There’s something really nice about having the luxury of time on a Sunday morning to make a batch of syrup-drenched fluffy pancakes or a stack of french toast and take it back to bed with a hot cup of tea or coffee. 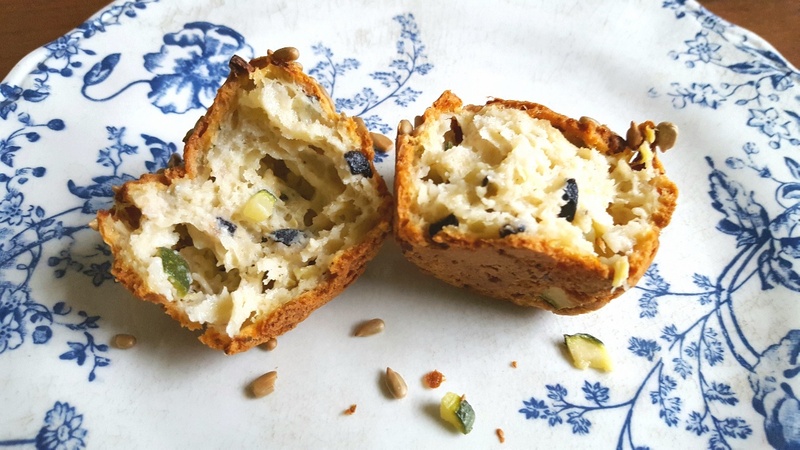 These savoury breakfast muffins are really easy to make, requiring little more than chucking all of the ingredients into a bowl, mixing, pouring into muffin cases and baking, but they’re incredibly rewarding to eat. 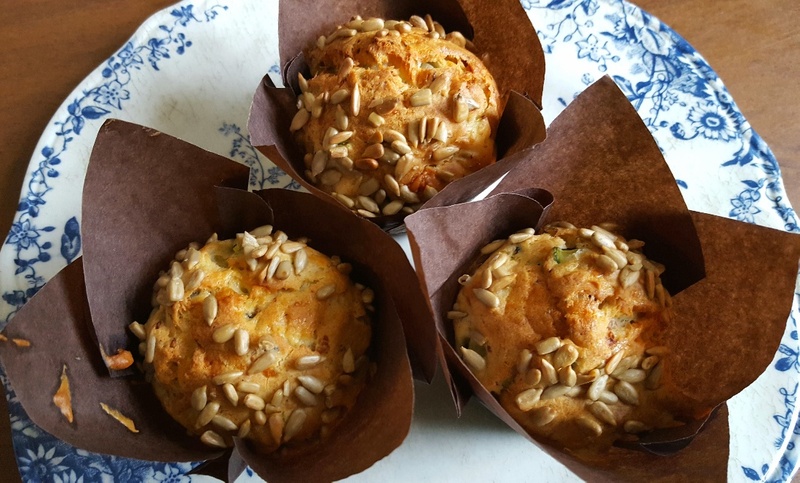 They are soft, moist gluten-free muffins that are studded with chunks of fresh courgette, melted cheddar cheese and salty, smoky bacon cubes. They’re just what you need to go with the Sunday papers in bed. Prepare a muffin tin with muffin cases . Put all of the wet ingredients into a large mixing bowl and mix. Add all of the dry ingredients (except the sunflower seeds) and mix. Put the muffin mixture into the muffin cases , sprinkle with sunflower seeds and bake for 35-40 mins. Serve warm.